CQR Douala, recently successfully managed a laborious transport of a charter vessel from Douala to the UN office in Bria, Central African Republic (CAR). This was a tremendous feat since Bria is known for rebel controlled areas near the Kotto river. Agora Shipping basically took to themselves to first remove the charter from the ship and then load the truck at Douala port. There, they had to go through customs clearance and road procedures BGFT / Barc to endure a long road transport from Douala to Bria. 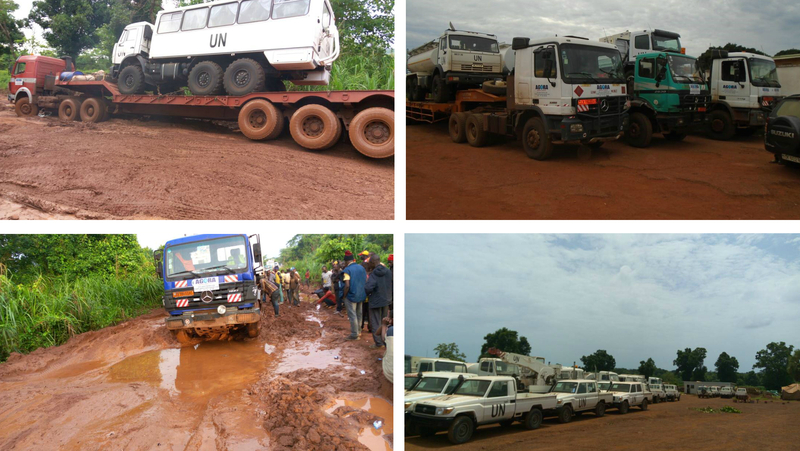 When at CAR, they again had to go customs clearance at Bangui and finally offload at the UN office at Bria. This was a laborious and difficult transport as seen in the pictures but Agora accomplished the task at hand easily. Agora Shipping & Logistics is a company of Agora group specializing in transport to difficult areas due to their extensive experience. They cater to the supply of integrated solutions in the field of logistics, shipping, customs, relocations, national and international transport, etc. both by sea and by air. Conqueror takes immense pride in having Agora Shipping & Logistics in our network, as one of our members and congratulates them on their big achievement.